My kids love everything about animals. They always watch animal documentaries with us and love visiting the zoo when we travel. That’s why I really like educational animal books from DK Canada. These books help foster their interests and are packed with useful information. 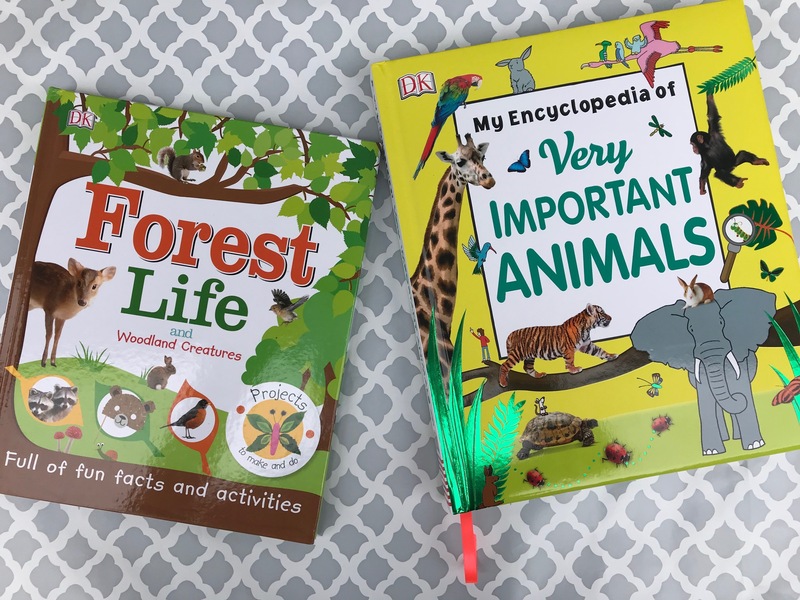 DK Canada recently sent us four books to enjoy with our kids: Animal!, My Encyclopedia of Very Important Animals, Forest Life and Woodland Creatures and The Animal Book. This is a great book to have in your home library. The book features more than 1500 photos of animals, plants and fungi. The is a scale on almost every page that informs the reader of the true size of the animals. My kids flip through the pages of this book all the time. The reptile section is their favourite! We love this book! 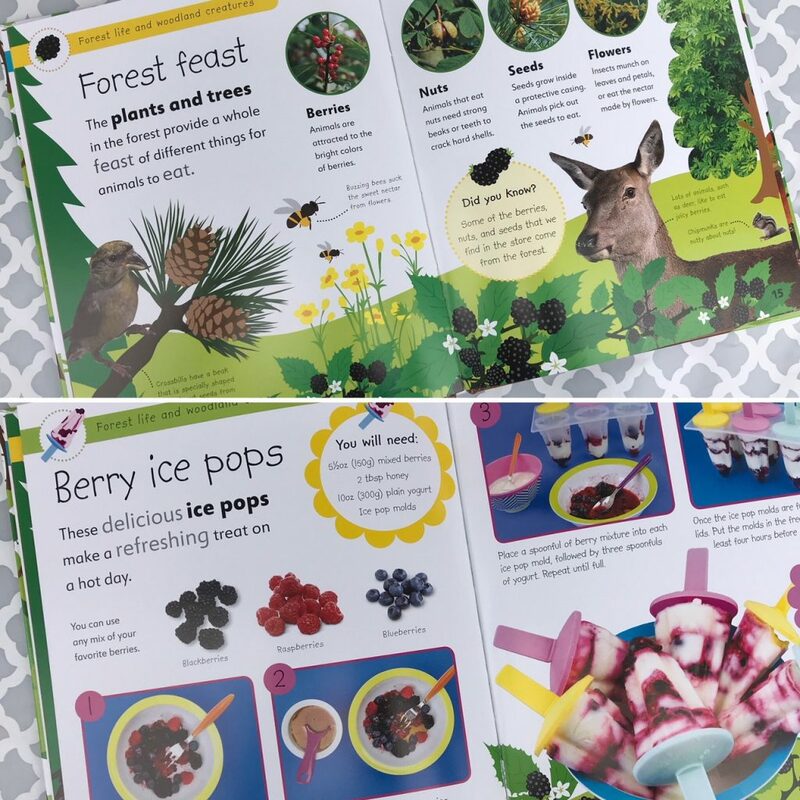 It talks about forests, seeds and seasons. There are very easy to understand instructions on each page. We really like photos and illustrations and the DIY crafts included in this book. This is a great book for primary students. This large encyclopedia is great for young kids. This book features hundreds of animals and has facts that are easy for younger ones to understand. 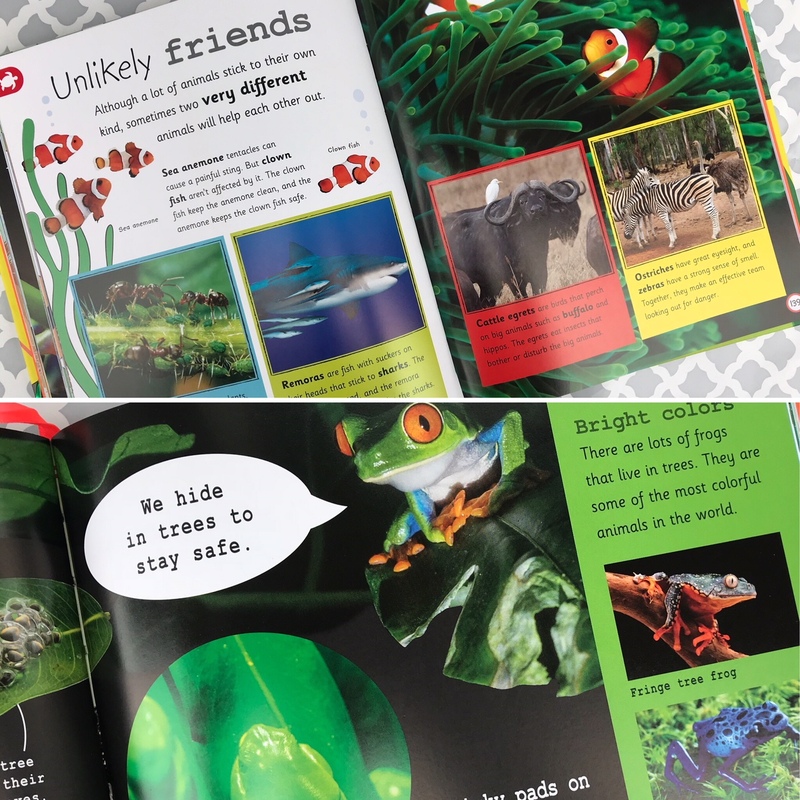 We love the speech bubbles on most pages and the animal stories found throughout the book. 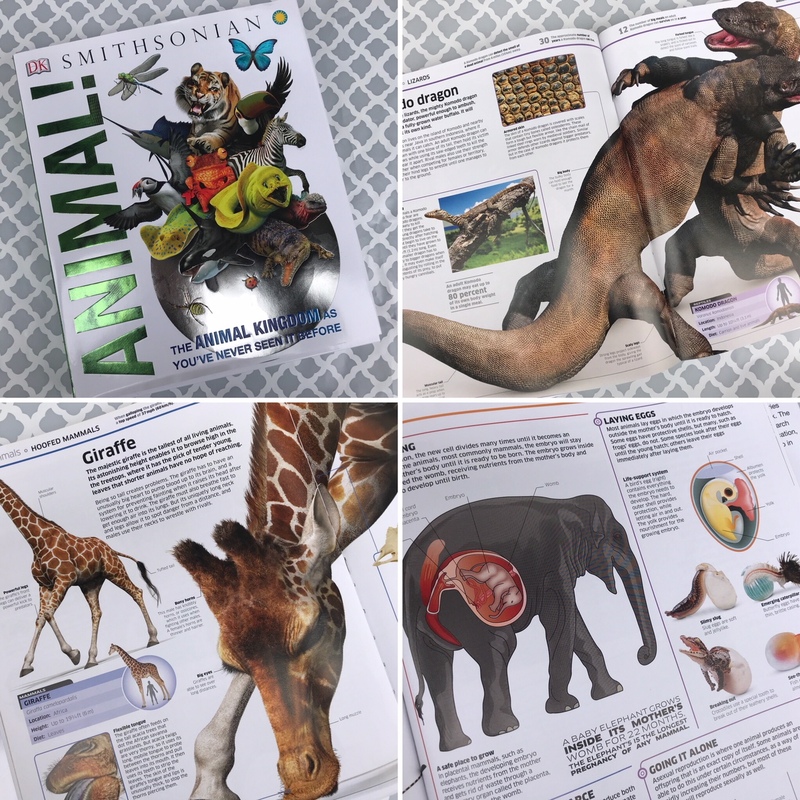 This Smithsonian book explores the animal kingdom in great detail. 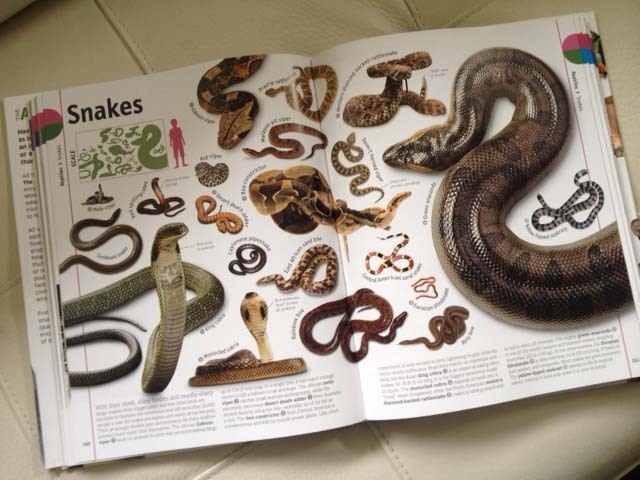 There are sections on invertebrates, fish, amphibians, reptiles, birds and mammals. There is a scale for each animal and some incredible up close photographs. My kids will sit and study one animal at length when they pull out this book. All four animal books mentioned would make incredible gifts for any child. These books are currently available in stores and online. I highly recommend you seek them out. 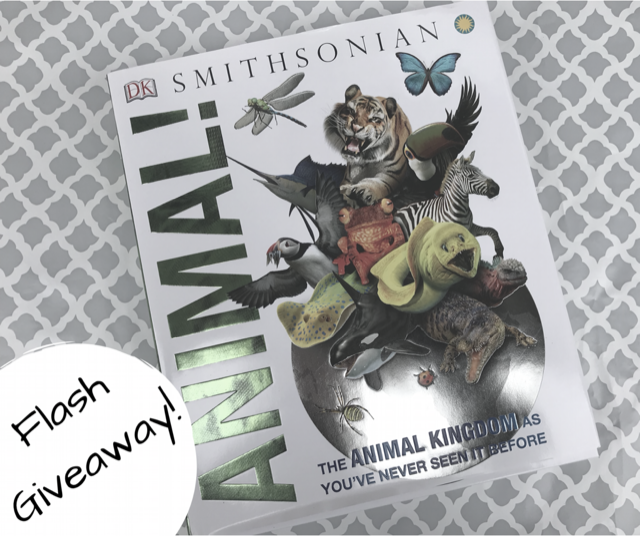 DK Canada is giving away a copy of Animal! to one of my lucky readers. To enter, check out my Facebook page now. Giveaway is open to Canadian residents only. Giveaway runs from October 17 – 20, 2017. I’d love to know, which of the four animal books do you think your child would enjoy the most? Disclosure: DK Canada provided books for the purpose of this review. All thoughts and opinions are my own. very educational books and I’d love to see Bo have these in his library. This looks like a great book for the young ones to learn more about the animals they love! What a beautiful DK book for a little one to learn about the animals we live with. mifold Grab-and-Go Booster Review + Giveaway!